DOVER, Del. (WPVI) -- Police are thanking a local member of the United States Air Force after a robbery suspect was arrested in Dover, Delaware. 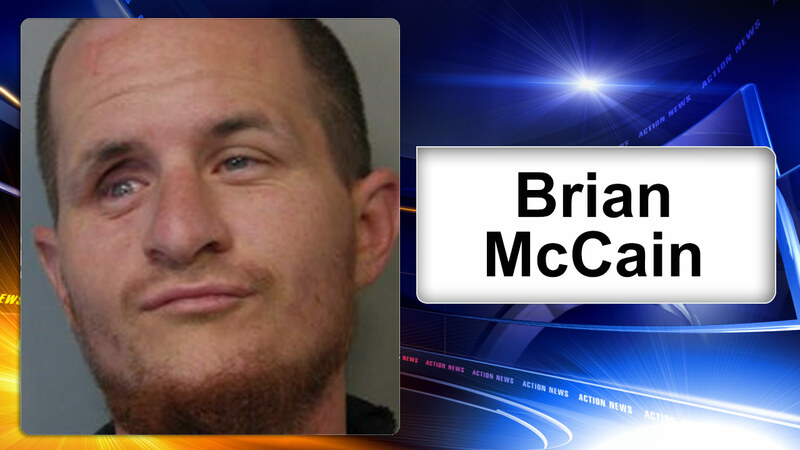 It happened when the alleged suspect, 33-year-old Brian McCain, approached a 30-year-old female as she was walking to her vehicle after a dinner with friends. Police say McCain demanded the woman give him her purse. The victim, fearful for her safety, gave him her purse. A witness, a member of the Air Force, observed the incident and chased down the suspect, tackling him to the ground a short distance away. That person was not hurt, and was able to recover the victim's property. Dover Police arrested McCain a short time later near his home in the 100 block of West Loockerman Street. He's facing a charge of Robbery in the 2nd Degree.